Dr. Katie Gay graduated Palme r College of Chiropractic in 2004. She and her husband practice in Kennebunk, Maine. 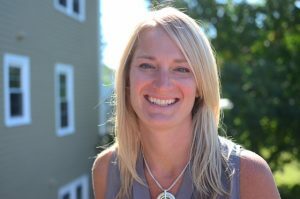 In the fall of 2015 she opened another location in Kittery, Maine where her primary focus is teaching her community about chiropractic care for children and pregnancy. Although she was fortunate to know from a very young age she was going to be a chiropractor she feels she was 18 years late for her first adjustment. Teaching parents to have their children checked early on gives her hope that the next generation won’t have as many kids “late for their 1st adjustments”.